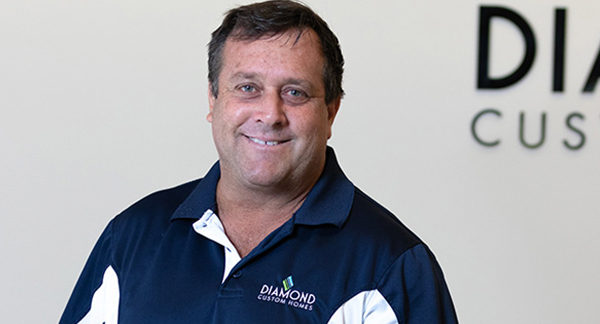 Diamond Custom Homes today announced the addition of Peter Brochin as a Job Superintendent. In his role as job superintendent, Brochin’s primary responsibilities include establishing orderly workflow on the jobsite to ensure satisfactory and on-time completion, collaborating with all subcontractors and vendors, and managing the jobsite from pre-construction through delivery to the customer. Brochin joined the Naples-based luxury homebuilder in May 2018 and currently manages three new estate home construction projects and a $2 million luxury home remodel. All four projects are underway in the prestigious lakefront community of Quail West Golf & Country Club. Originally from Woodbridge, Connecticut, Brochin graduated from Eckerd College in St. Petersburg, Florida with a degree in business management and a minor in real estate investment. He received his Certified General Contractor’s (CGC) license in the 90’s and has since accumulated nearly 30 years of experience as a construction manager. Now living in Estero, he has built numerous luxury homes in the Naples area. “Superintendents are essentially the face of the company when working with subcontractors and clients, so they must be comfortable working with a wide variety of people on a wide variety of projects,” explains Diamond. “Peter brings many years of experience in the construction industry. He is extremely well organized and highly efficient on site,” he adds. When not managing a Diamond Custom Home construction site, Brochin enjoys boating and fishing and spending time with his wife. He is OSHA safety certified and a member of the Collier Building Industry Association, serving as a judge for last year’s Sand Dollar awards. Diamond Custom Homes creates and renovates luxury residences for discerning homeowners in Southwest Florida’s most prestigious communities and neighborhoods. The firm is known for its quality craftsmanship and the creativeness of its custom designs. Offices are located at 6646 Willow Park Drive, Suite 5, in Naples. For more information, call 239-325-4600 or visit online: www.DiamondCustomHomesFL.com.